If you have been badly injured in a motorcycle accident, you are lucky to be alive! Motorcyclists are killed 27 times more often in accidents than passenger car occupants are, according to national figures. You are also entitled to compensation for your injuries and other losses if the accident was not your fault. If you are the surviving relative of a motorcyclist who didn’t survive, you may be entitled to bring a wrongful death claim for the fatal motorcycle accident. Stephen Babcock has put thousands of miles on his own motorcycles, ranging from Harley Davidsons to 2-stroke dirt bikes, and he knows and understands the ins and outs of riding. This gives us a special advantage that a non-rider attorney would not have representing you. The Baton Rouge personal injury attorneys will go after the compensation you deserve and will need to pay medical bills, repair or replace your bike, make up for lost income, and more. We are committed to standing up for motorcycle accident victims and seeking maximum compensation for losses in accidents in Baton Rouge and throughout Louisiana. Attorneys Stephen Babcock and Chase Tettleton are members of the Multi-Million Dollar Advocates Forum, a group of trial lawyers whose members have won million and multi–million dollar cases. Insurance companies know Babcock Trial Lawyers are serious about taking cases to court – and that helps us get better motorcycle accident settlements for clients faster through tough-minded negotiations. Contact Babcock Trial Lawyers today for a free case evaluation. We’ll outline your legal options and our 100% Satisfaction Guarantee: No fee until we recover a monetary award for you and, if you are not 100% satisfied, terminate us within 30 days and you won’t owe us anything at all. Nothing. No costs. No attorney’s fees. No kidding. Nothing. If you have been involved in a motorcycle accident and unjustly injured because of someone else’s negligence or recklessness, you owe it to yourself to explore the potential for a legal claim, contact our law firm today. If you have been hit from behind in a motorcycle accident, you are not alone. Rear-end collisions are the most common type of accident. They are also the most common cause of whiplash, a painful and potentially disabling neck and back injury. A head-on collision is the type of accident most likely to result in death. Head-on collisions account for about 2 percent of car accidents but cause about 10 percent of all motor vehicle fatalities. Louisiana is no stranger to motor vehicle traffic nor motorcycle accidents. According to statistics, 8-10 percent of road accidents in the state involve motorcycle crashes. Moreover, almost half of that number is caused by motorcycle riders sustaining fatal injuries because they did not wear any helmet. Distracted driving is multitasking at its potentially deadly worst. When a motor vehicle accident has been caused by a distracted driver, those who have been injured or lost a loved one deserve quick and sure compensation for their losses. It should come as no surprise that intersections are the scenes of many motorcycle accidents. Multiple streams of traffic cross and turn in front of each other. When drivers don’t pay attention at intersections, crashes are often the result. As you may expect, the increased speeds allowed on Louisiana interstates and highways result in more severe crashes when accidents occur. When high-speed highway accidents happen in heavy traffic, multiple vehicles may become involved, resulting in pileups that damage many cars and motorcycles and injure or kill multiple people. Baton Rouge motorcycle accidents can often lead to scars, lacerations or disfigurement. Over the years that Babcock Trial Lawyers has been assisting motorcyclists injured in accidents and/or their families, we have seen what injured riders go through. A serious motorcycle accident can cause injuries that require hospitalization, surgery, rehabilitation and lengthy convalescence. Many motorcyclists are permanently disabled after collisions with cars and trucks. Some eventually die from their injuries, despite the best medical care. A motorcyclist who must lay the bike down for any reason can easily suffer a blow to the head. A sharp hit to the head or a sudden jolt is likely to cause some degree of brain damage, from concussion to severe TBI. A TBI can cause lasting damage to the victim’s cognitive and physical abilities, which may continue to deteriorate in severe cases. Damage to a significant portion of the brain can result in coma — long-term loss of consciousness — or a vegetative state. A blow or severe wrenching of the spinal column (vertebrae) in a motorcycle accident can tear or sever the spinal cord and cause paralysis. Paralysis occurs below the point of a spinal cord injury. A damaged spinal cord cannot be repaired, though therapy may restore some sensation or use of paralyzed extremities. Most spinal cord injuries will leave the motorcyclist with some degree of paraplegia (lower body affected) or tetraplegia (all four limbs affected), which will require a lifetime of care. Impact and crushing wounds suffered in motorcycle accidents result in many fractures and the occasional amputation. A broken collarbone (clavicle) is a common motorcycle accident injury, which requires several weeks of immobilization followed by therapy for full movement of the affected shoulders and arms to be restored. A motorcyclist’s extremities — limbs, feet, hands — are extremely vulnerable in a motorcycle crash. Legs and feet are more likely to be injured than arms and hands, but it is more common for hand injuries to include nerve damage, which may result in some loss of use or sensation. Vital organs, like the bowels, stomach and liver, may be ruptured by a severe blow or penetrating wound suffered in a motorcycle accident. This can cause multisystem trauma or massive bleeding, which may lead to shock and death if not treated quickly. Damage to internal organs requires prompt emergency surgery, which may be difficult to obtain after a wreck in a rural area. A blow to the chest in a motorcycle accident may result in broken ribs, a fractured sternum, and/or injury to upper cavity organs (heart, lungs, diaphragm) protected by these bones. Even pieces of broken bone can damage the heart or lungs and cause cardiac or respiratory failure, which can easily lead to death. It only makes sense to seek compensation you or your loved one is owed by a negligent driver who caused the injuries you are dealing with today. Babcock Trial Lawyers can help you do it. 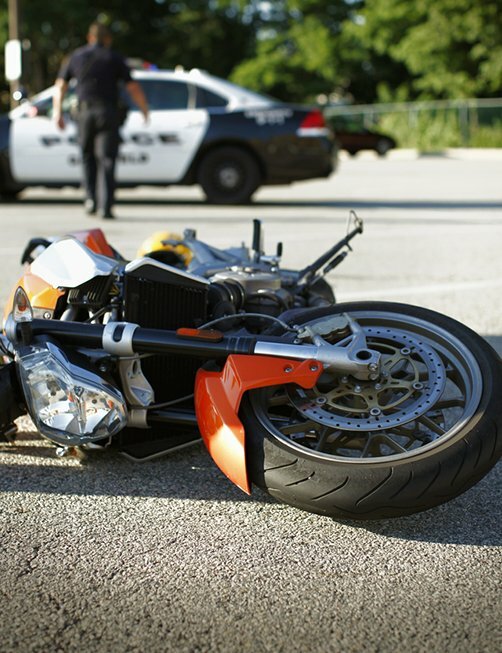 Motorcycle accidents are often caused by negligence on the part of motorcycle riders. These are a great source of financial, emotional, and physical stress on the families of victims of motorcycle accidents. 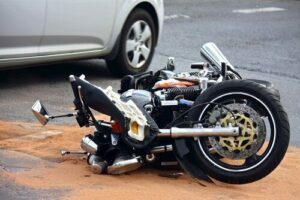 If you have sustained injuries and damages or lost a loved one from such accidents, you might need the help of a Louisiana motorcycle accident lawyer so you can file a lawsuit against the person responsible for that. No one deserves to experience the pain from such negligence. Call Babcock Trial Lawyers, one of the injury law firms in Louisiana, and get justice and compensation from your losses. Most motorcycle accident cases are settled through negotiations with the liable (responsible) party’s insurance company. Babcock Trial Lawyers will only enter these negotiations after thoroughly researching your case, which includes building solid evidence of liability and fully accounting for your costs and losses. To maximize the damages (compensation) available to you, we will also identify all insurance coverage applicable to your case, and seek payment from all available sources of compensation. This may result in multiple claims, each of which will be handled with equal determination and care. If the driver who caused your accident was legally drunk or impaired by drugs, we can also seek punitive damages, which would significantly increase the amount of money recovered in a settlement or jury verdict. Louisiana is a pure comparative negligence state, which means the compensation you recover may be reduced according to the percentage of fault assigned to you for the accident. However, if less than 100 percent of the wreck is blamed on you, you can still recover damages. As you know, Louisiana does not require motorcyclists over the age of 18 to wear helmets. However, you also need to understand that lack of a helmet in a rider’s accident is not a legal factor. The presence or absence of a helmet has no bearing on the cause of and, therefore, legal responsibility for a motorcycle accident. In the aggressive settlement negotiations that Babcock Trial Lawyers is known for, we will vigorously challenge any attempt by insurance companies to unfairly cast blame on you or your loved one for a motorcycle accident. We reject the prejudice motorcyclists sometimes face, and we will not put up with it coming from an insurance adjuster. If the insurance company will not do the right thing and negotiations fail, we will be ready to fight for you in court.